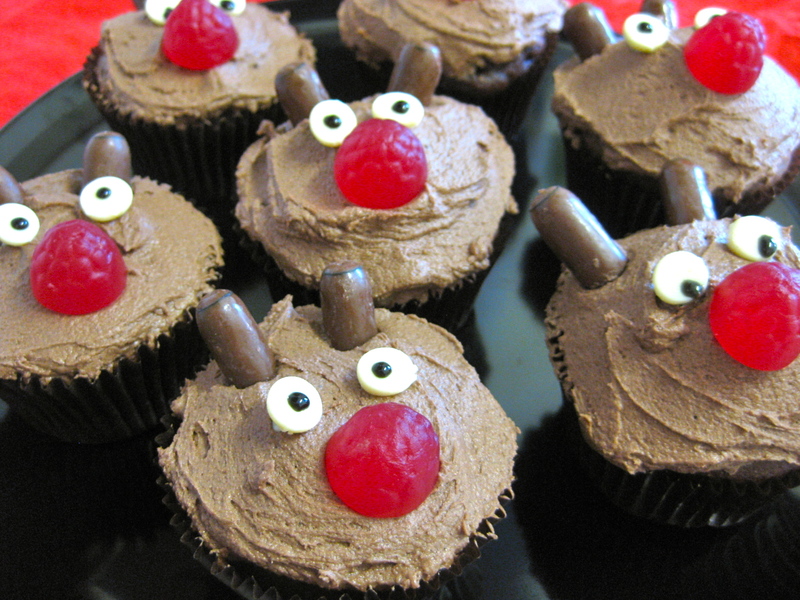 If I could officially name them, they’d be Rudolph the Red Nosed Cupcake! I’ve whipped up two double batches this week for the kids school Christmas Parties, and they really don’t take all that long. Just buy a packet of chocolate cake mix, fill brown muffin patty cases and whip up some buttery icing laced with cocoa. Grab a packet of raspberry candies, some bullets (chocolate coated licorice) and a packet of white chocolate chips. If you have the time and patience, use an icing pen filling with black gel and dot little black pupils onto the eyes. LOVE these Lara!! 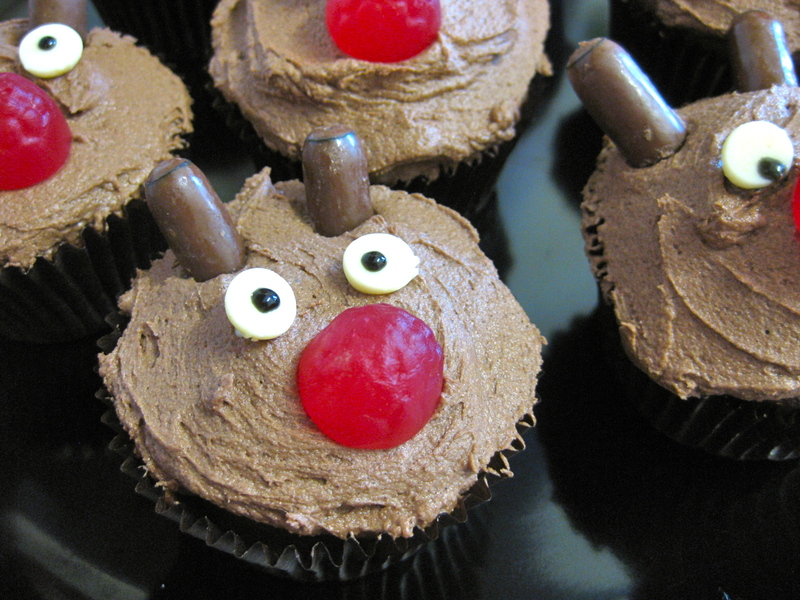 If you didn’t already know I am the cupcake queen up here in qld so I am making these for sure for Chelsea my niece. The boys are two very lucky likkle men! I am absolutely in LOVE with these cupcakes! !